Salomon Xtrail Run Bacolod 2016 | JustRunLah! 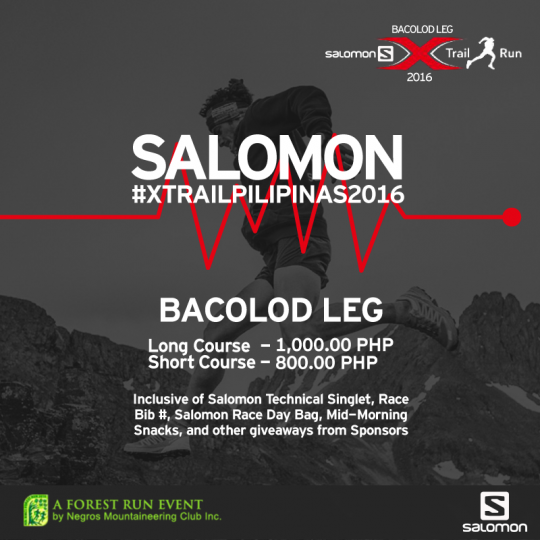 Salomon Xtrail Run is having a Bacolod leg happening on November 27 in Bgy. Campuestohan, Talisay, Negros Occidental. Run along the North Negros Forest Reserve and experience a a spectacular view of both Negros and Panay islands.